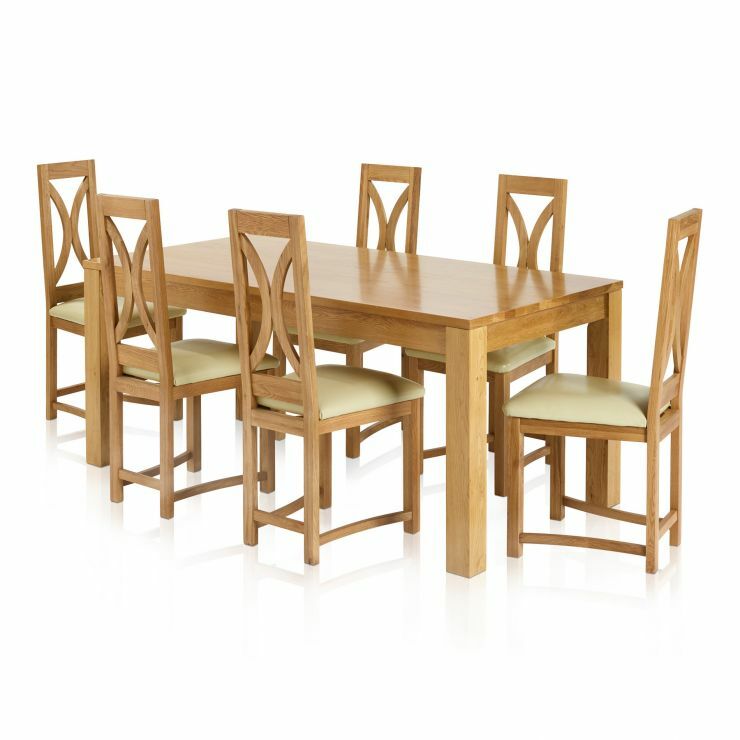 The Oakdale 6ft dining table is a statement in simple style. 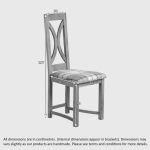 Seat up to six people in comfort in these loop back dining chairs. Table and chairs are both made from solid oak, with a natural finish. 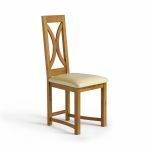 The chairs have cream leather seat pads; they’re both practical and a good colour with the natural oak. The Oakdale table is just right for everyday meals in a busy kitchen. Yet for special occasions, its unfussy style lends itself to being dressed up. This is a great opportunity to buy solid oak table and chairs for a really good price – with delivery included in the price.